Pre-Registration: Register by mail (entries should be postmarked by September 1), in person at McCoy Outdoor, Run-N-Tri, or Fleet Feet in Mobile or Running Wild in Fairhope until noon on the Thursday, September 6. Online / Late Registration: Online Registration until 4 AM September 7. Early packet pick-up and late registration will be available at PCP office (358 Morgan Avenue, Mobile, AL 36606) from noon until 5:30 PM on Friday, September 7. 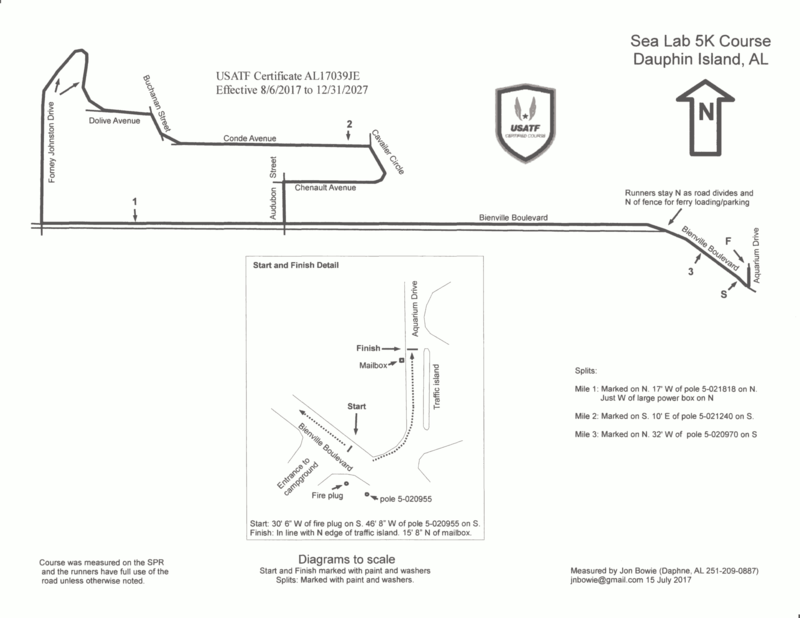 Packet pick-up and race day registration at DI Sea Lab from 6:45 - 7:40 AM.